I wish this was every church's creed. But sadly it is not. We still have so far to go with human & civil rights on the spectrum of Gay (GBLTQ) Rights and also with Race, religion, ethnicity, etc... 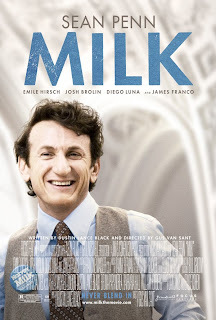 I watched the movie MILK tonight about Gay Rights Activist Harvey Milk and his fight to not get Prop 6 (a law to not allow Homosexuals and Homosexual Allies to teach in schools or be in other forms of work associated with the government) Passed. He succeeded right before he was assassinated. He said these words that stick with you,Harvey Milk: All men are created equal. No matter how hard you try, you can never erase those words. Now many years later, California faces Prop 8. One more obstacle for the gay community. And the people that want Prop 8 to pass, are the Christians. Some say, "fundamentalist Christians"...but sadly it's not just the fundamentalists that are at fault, it is all Christians. We should not be standing in the way of civil rights. Jesus, the one we all claim to follow, I honestly believe would NOT be standing in the way of civil rights for homosexuals. You might disagree with me and you are free to your opinion. But the Jesus that I follow and am trying to serve each day would have wanted rights for Gays and people of all sexual orientations and backgrounds. Jesus loved us all, he does love us all. There is no way I can look into the eyes of some of my kids that I work with that have come to me and told me they are struggling with their sexual orientation and tell them they are going to hell or might need to get "fixed". There is no way I will tell them that they can never act on it, because who is to put defining lines around who you can and cannot love. There is no way I can look my friends that have come out to me over the years in the eyes and tell them that I will not be their friends because they are gay or lesbian. And I choose to think that I will end up in a heaven where they are there too, because I know that the God I worship loves all his children. My friends that have come out to me, tell me I am rare in my thinking. But honestly I think there are a lot more allies for the gay community out there with in the Christian community, but people are just afraid to speak up. To know that not too many years ago, if Prop 6 could have passed in California, and I had become a teacher...and considering that I am an ally to the homosexual community, I would not have a job. That scares me! We might think we have come a long way, but we are still so far from truly accepting all those around us. Harvey Milk, was an amazing activist, he was passionate about getting rights for his community that he loved so dearly. He said that if everyone could just know 1 person that was gay, that they would not vote for Prop 6. I wonder if the same would be the case for Prop 8? I wonder if the same would be for any civil rights and human rights issue. And not just know a person in passing but truly know someone you care for. "They will know we are Christians by our love, by our love, they will know we are Christians by our love"
Where is our love? Do others know Christians by their love? I have a dream too, like Martin Luther King Jr. did, like Abe Lincoln did, and like Harvey Milk did. I have a dream that one day our kids will not feel judged by Christians on the basis of their ethnicity, sexual orientation, religion, political preference, or anything else. I have a dream that kids and people all over the world will feel only love from Christians. It's a big dream, a dream I might never see, but without hope that, that dream will come true one day, I would not be here writing this tonight. I'm with you, Brooke. I've always been an ally, but this year I'm going to participate in National Day of Silence April 17. I'm now an honorary member of the Centennial Gay-Straight Alliance, and I will wear my GSA tshirt with pride! Way to go, sister. What an inspiring post.